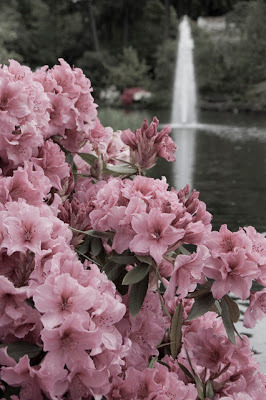 This is another photo that was taking during the pre-mother's day outing at Crystal Springs Rhododendron Gardens. The flowers were very violent pink (not that there's anything wrong with violent pink... really), so I thought I would play around with the saturation. For this photo I bumped down the saturation in Photoshop to create this washed out effect.